Patricia Santos Marcantonio comes from a family who loves to tell stories, which is where she got her desire to write her own. She’s won several awards for journalism and her screenplays, and was a Newspaper Association of America New Media Fellow. 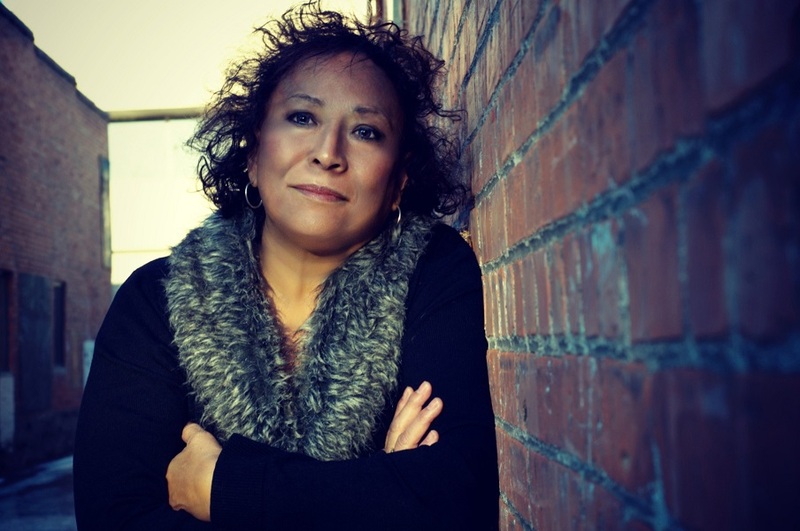 Her children’s book, Red Ridin’ in the Hood and Other Cuentos, won an Anne Izard Storyteller’s Choice Award, and was an Americas Award for Children’s and Young Adult Literature Commended Title, as well as one of the Wilde Awards Best Collections to Share. Patricia lives and works in Twin Falls, Idaho. I started writing when I was in junior high, but always loved making up stories, which I’d tell to my parents. I was shy in school so for the most part, the characters in books and movies became my friends and also fueled my love for writing. For many years, my day job was journalism but I always wrote fiction at night. My first break was Red Ridin’ in the Hood and Other Cuentos, published by Farrar, Straus and Giroux of New York. It’s a retelling of old fairy tales with Latino characters and culture. 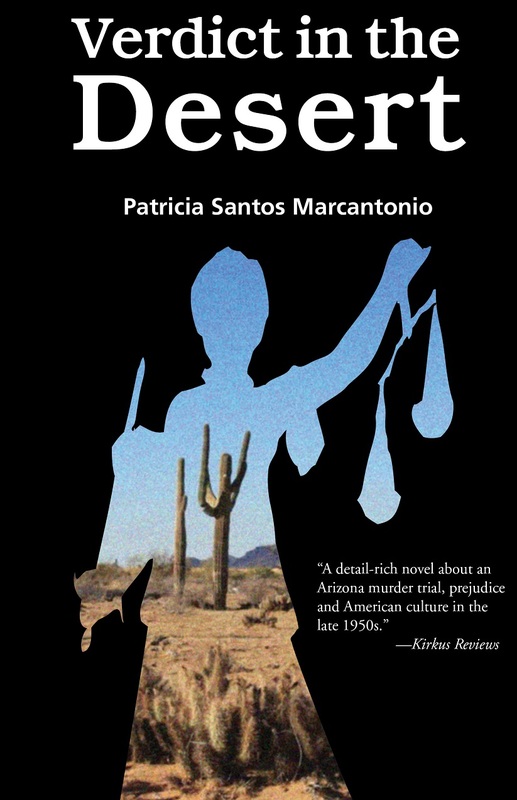 I have a new novel, Verdict in the Desert, hot off the presses from Arte Público Press, the nation’s largest and most established publisher of contemporary and recovered literature by U.S. Hispanic Authors. Set in 1959 Arizona, the story is about a wealthy and alcoholic lawyer assigned to defend a Mexican woman who kills her abusive Anglo husband. During the case, the lawyer falls in love with the Mexican-American interpreter and must face more trials because of the relationship. The story is about love and justice, but also about class differences and prejudice. Verdict in the Desert is also available on Amazon. I have an office at home. I love it. Very warm and inviting, but still an office for work. I’m not an early morning person. I exercise when I get up—otherwise I won’t—and then get to work in the early afternoon until about six when my husband gets home. I tend to think a lot about my stories before I sit down. I do research and an outline and then hit the computer. But I also do a lot of writing on yellow pads. I don’t edit until I’m done with my first draft, then rewrite and rewrite until I love it and hope someone else does, too. But I’ve got to love it first. It’s a great joy to create characters, and through their lives and stories, I hope a reader will think, “Hey, I’ve felt that way.” That is, to touch them emotionally. Or, that readers will experience or learn something they didn’t know. I also love to entertain. Inspiration comes from anywhere and everywhere. An image. A newspaper article. A person I’ve met. I have a thick file of story ideas. The challenge is to strive to get better and better. But that’s also a fun part that keeps you on your toes. I don’t usually think about that. I consider my life’s experiences as part of my inspirations. If I would have known everything when I got started, then there would have been nothing to learn. My personal goal is just to have the opportunity to keep writing. It’s a bonus if I can make money. Re: the publishing industry, it is great that through self-publishing, more writers are getting their stories out there. The bad part is that good writing may be lost among all the bad stuff out there. It will even out in the end. Charlotte Brontë, Alice Hoffman, Margaret Atwood, J.K. Rowling, Suzanne Collins, Harper Lee, Ursula K. LeGuin, Anne Rice, and Jane Austen. Thank you, Patricia Santos Marcantonio!